Great location and friendly staff. Breakfast included is good value. On a personal preference note, I found the mattress too soft and the pillows too hard and lumpy, but the hotel has great charm and I enjoyed my stay. I can't say enough good things about this hotel. The morning weekday concier service was outstanding each morning we were greeted and ask if we needed any assistance with directions or any recommendations for things to do and see. The front desk staff was always helpful and courteous and willing to accommodate in any way possible. The hotel location was excellent it was halfway in between Times Square and the financial district only one block away from the subway stop. We were just around the corner Washington Square Park and not far from Union Square. The room was comfortable. I loved this hotel. It was quaint and quirky. It was set in a wonderful, peaceful location that was central yet away from the busiest parts of NY. The staff were wonderful and really make the stay feel comfortable and safe. I'd go back in a heartbeat! Great for the solo traveler too. I hope you like it as much as I did. I had to come to New York for a meeting and brought along my teen-aged daughter. The location was perfect - right next to Washington Square with easy access to all of Greenwich Village. The room was cozy, the staff was friendly, and our stay was enjoyable. This hotel is nice and old but it lacks freebies such as water, shower cap, shaver and some bathroom utilities. The service too is not good probably because the employees are somewhat old too, no offense meant. 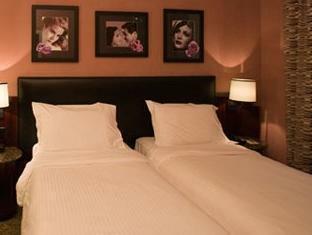 Very nice boutique hotel in excellent neighbourhood. The rooms and charming and comfortable. The wifi and a/c work very well. Close to public transportation, shops and restaurants. Hotel staff were courteous and helpful. Washington Park Hotel is located right across from the park, close to the subway and within walking distance of many attractions. We had breakfast and wifi included in our rate and the both were excellent. Rooms a good size with plenty of storage and very clean. Highly reccommend. We spent two days in NYC visiting the Tenement Museum the first day and our old neighborhood in Brooklyn the second day and did a musical in the evening between. 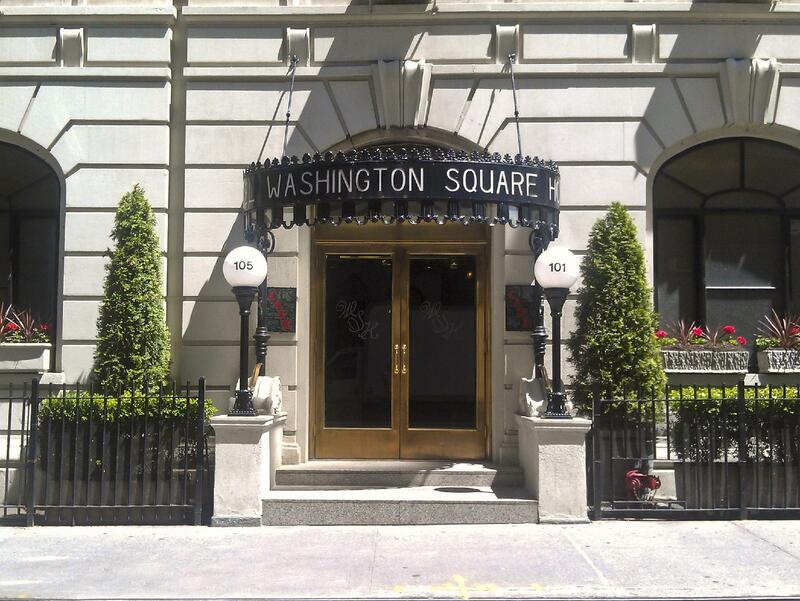 The Washington Square Hotel was a perfect location. On a quiet street next to the park but a block away from the subway line that took us everywhere. The hotel restaurant is very good. Great location, staff are very friendly and efficient. Room was on the small side but perfectly adequate. The bathroom was large and modern. Breakfast was ample and good. Loved our stay here and would definitely recommend. Location is excellent. Right next to Washington Square Park, NYU, The New School(Parsons). It gave my daughter an idea of what college life would be like. The staff is wonderful, always there to help. Will stay here again for parents weekend and other visits. This hotel is pretty close to the subway, which connects to several lines. Walkable to lots of stores too. Continental breakfast has regular stuff (some fruit, yogurt, toast, bagels, croissants, muffins, cereal, juice, coffee, tea, scones). We enjoyed our stay at this hotel. Needed a last minute hotel and this was a great find. Rooms aren't huge, but good enough for two people. Didn't spend too much time in the rest of the hotel, but staff was wonderful, everything was clean, and the hotel is in such a great location. Even ran into a celebrity near by. I don't want to stay anywhere else! The staff was helpful and friendly, breakfast perfect (although the coffee was not so good, Starbucks is around the corner) and their dinner recommendation was great. They called me when I left something in the safe and are sending it to me, thank heavens. I will be back! Well, I used to stay in this hotel decades ago when I had to work late, and so on, and at the time it was a charming dive which cost nothing and was super easy. Things have changed: it's had a makeover and is now modernized with great bathrooms and beds; it has a great coffee bar in the ground floor with continental breakfast provided free by the hotel. The staff are great: they let us check in hours earlier than the official time and did everything they could to be friendly and helpful during our visit. It's small and older, but it's not a bad spot. Location is excellent and staff is exceptional. My only complaint was the air conditioner blew directly on my head in bed. There was no way to change the direction. I stay at the WSH whenever I go to New York. It is such a special and historic place, so well situated right on Washington Square and central to everything -- in a great neighborhood. I do love the history, too. The fact that Joan Baez sang about her love affair with Bob Dylan in the sone 'Diamonds and Rust" is very special. And the cast of guests is quite renowned. Service and food are just right. I had a terrific steak there this week -- even better and half the cost of Babbo's across the street! NEG. Too much hype. Not what I expected. Small, bare rooms. Old features. Aged. POS. Great location, friendly staff and breakfast included. สถานีรถไฟใต้ดิน West Fourth Street-Washington Square - ระยะ 0.25 กม.